Pattern Magic 2 by Tomoko Nakamichi has been in our bookshelf for some time, but I’ve just made my first garment from it. 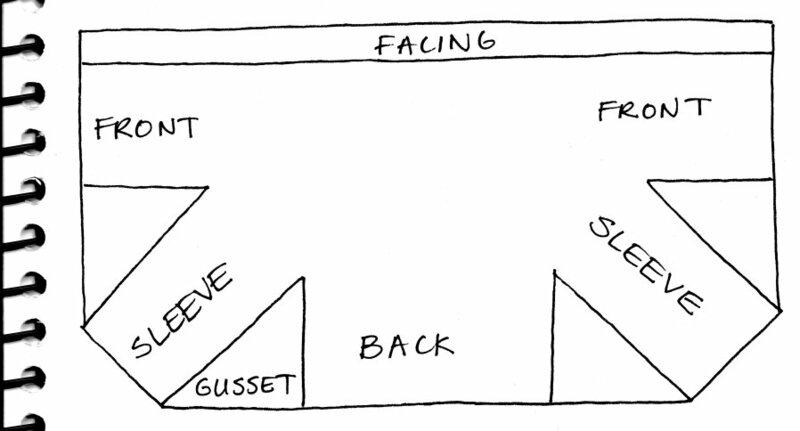 Wearing a square is a top made from, not a square, but a rectangle of fabric, with some clever cutting. 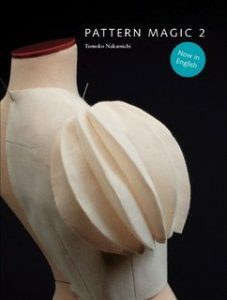 If you like sculptural clothes, and quirky, interesting patternmaking, you’ll love this book. Wearing a square is considered one of the easier and most wearable styles in it. 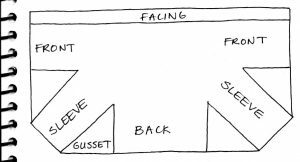 You could probably draft Wearing a square straight onto the fabric -some people have, but I like to make a pattern. I didn’t test it though -just went straight to the fabric. The pattern looks like this, which looks absolutely nothing like a jacket “should” look like. You can see it’s a rectangle with just two pieces missing from the lower corners. The four triangular pieces are cut out and turned around to make gussets for under the arms. 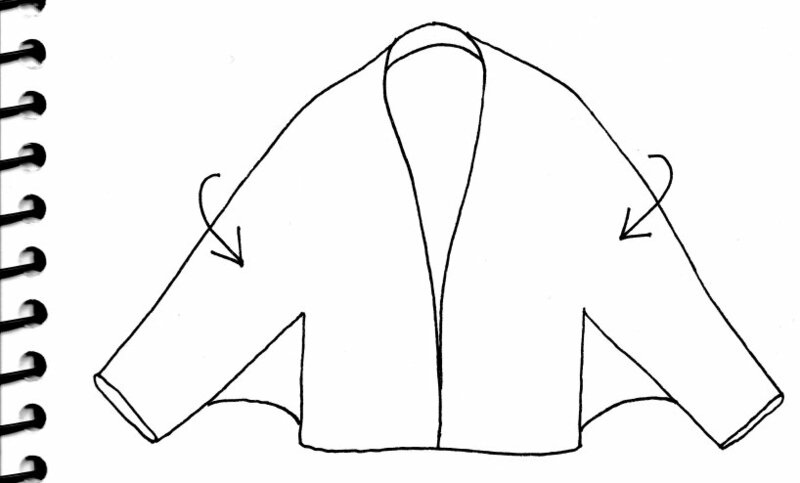 The garment is folded over along the sleeve/shoulder line, and the side/gusset/underarm seam is sewn. Very smart! The effect is almost a batwing shape. The back is the same. See how the stripes perform around the body? The sleeve is on the bias, and the stripes are in a different direction front and back. 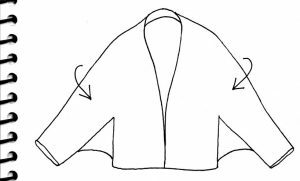 Wearing a square is intended to be a pullover, but the ones I’ve seen on other people’s blogs have been made as jackets, with front zips. I had planned to put buttons and loops on mine, because I thought a zip would be too plain. However, at the haberdashery counter I couldn’t find the “right” buttons, so I changed my mind about them and bought a zip instead. The fabric is a beautiful soft herringbone wool from the op shop. I don’t even think I paid for it, because there were holes in one end from moths, so it was free. For the lining I used two identical scarfs from the same op shop. They’re made in Italy, of 100% pure polyester. The scarves were exactly the right size. 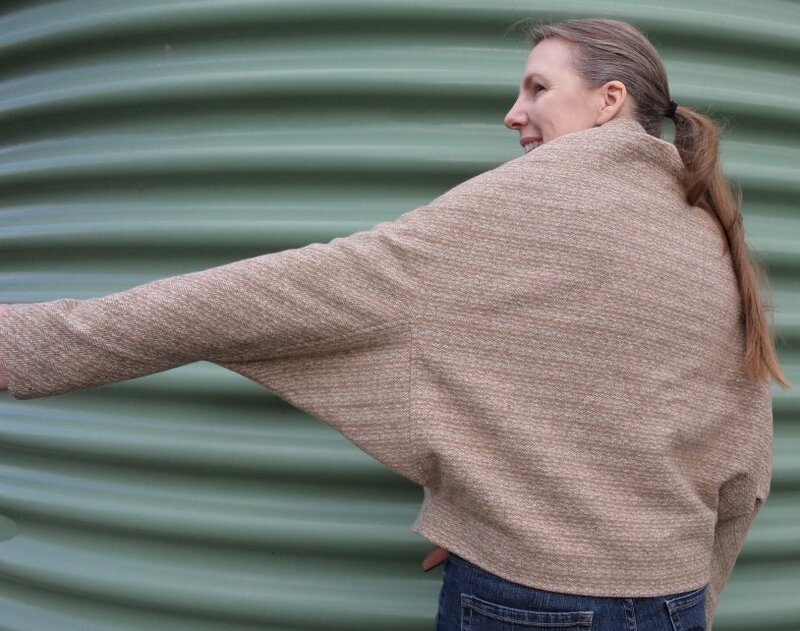 I joined them together to give me a centre back seam with a pleat. The scarves in the jacket. I think it looks spectacular! 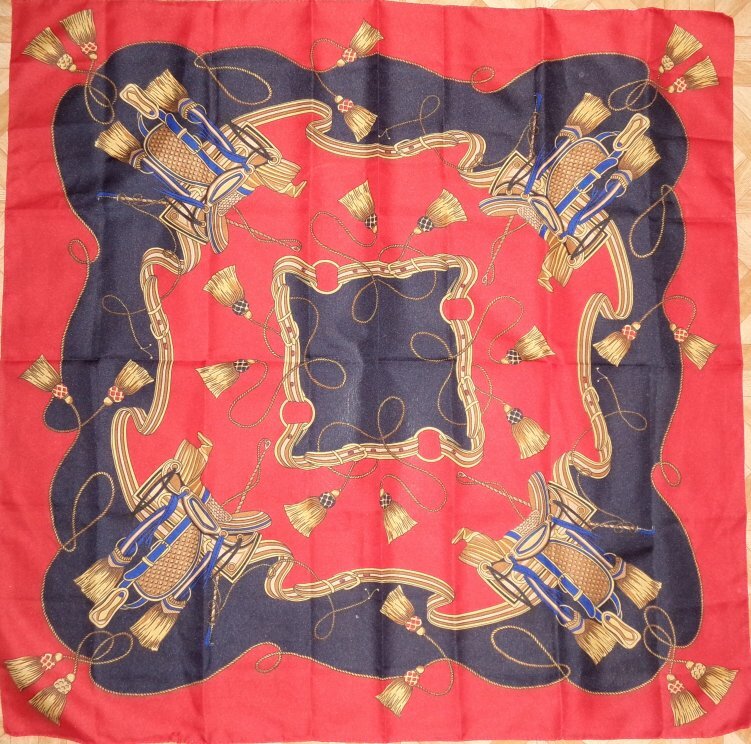 Notice how the scarves aren’t symmetrical? I put interfacing in the front facing, sleeve hems, body hems and at the tops of the gussets. 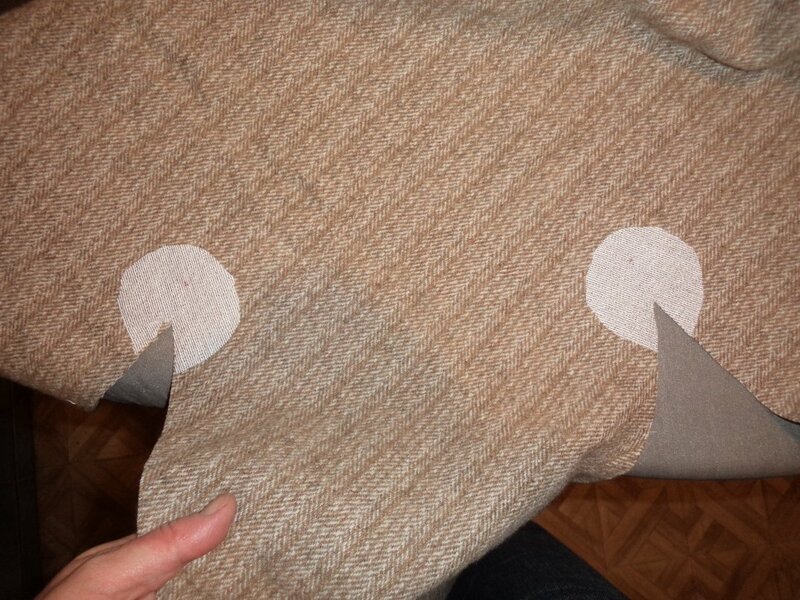 The top point of the gussets have a circle of fusing to reinforce them, since the seam allowance gets snipped. I did this for the lining, too. On the fit: I could have made the sleeves wider. 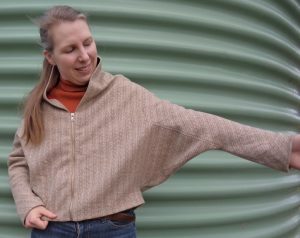 The book says 20cm wide sleeves, but that seemed too narrow even for my skinny arms. I made mine 25cm but could easily have made them 30cm. 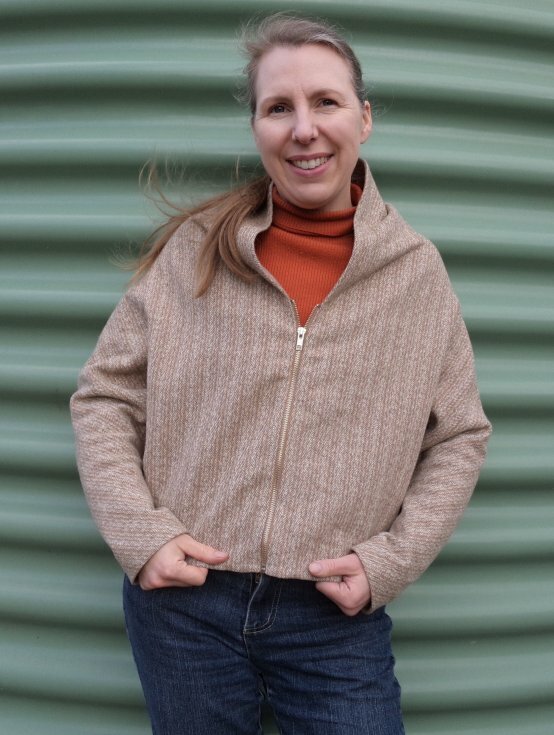 There isn’t much room to move one’s arms up in this jacket, in spite of the loose fabric around the armholes. Maybe I could have made the gussets smaller? Still, I like the look of it and see myself wearing it at an arty-type function, like an exhibition or something. Love the finished product. Did the pattern have any measurements? 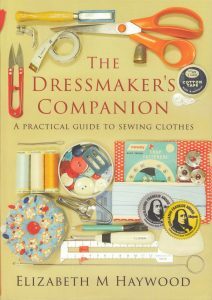 Thanks, yes, there’s a draft in the book and you make it to your own measurements. Loved your jacket. Your are so clever and artistic. 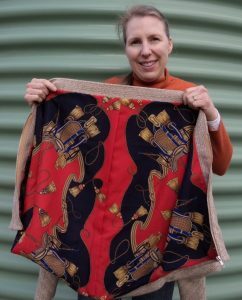 What a wonderful use of the ‘op shop’ fabric! I love your jacket and you look lovely in it! How wonderful to not waste a thing! Thank you for sharing!